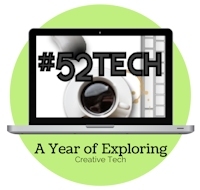 Today’s Week 48 post for the #52Tech series provides 100+ random generator resources for writers in need of some inspiration or stuck for ideas to complete off their NaNoWriMo efforts. For those doing NaNoWriMo, at this point in the last week, we should have established our main plotlines and characters and be heading towards the end zone. But when you’re writing fast and dirty, at this point it can be too tiring to come up with new ideas. Sometimes you just need to pull a plot device or even a new character out of the hat, and be prepared to go back and clean up later. Which is when, with little time to spare, one of the many web-based random generators on the web comes in handy. Permission to open the Internet – just really really quickly, okay? Granted. The above first five generators reside on the Rangen UK website. Explore the site for more randomness – character’s superpowers, family tree, or love interests can be found there. 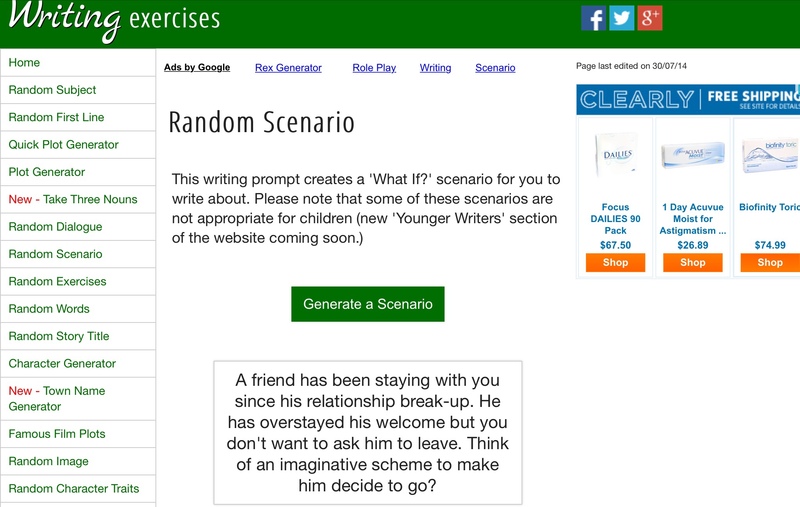 Also, check out the Name section to find a random Name generator, and novel title generator. The next four above come from Springhole.net where you will also find many More character and other random generators like a Realistic and Semi-realistic name generator, a speculative fiction/fantasy/scifi name generator, a setting and object name generator. Ten and eleven above are from well-known random generator site Seventh Sanctum, where you will find many more. The rest listed above are random. Bonus note: Springhole.net is also home to one of the best collections of explanations and surveys to take to test whether your lovely new main character created through NaNo isn’t a Mary Sue character. Need a World or Small Piece of Setting? The Rangen links above will also supply some random generators for a city, laws, terrain or fantasy race. The Springhole links above will also open up several world-building generators such as a random town generator, landscape generator, house, setting, diety and fantasy Kingdom name generator. And Seventh Sanctum also has many fantasy orientated setting or world-building generators. Dave’s Mapper – generates a map of a town or dungeons, based on several hand-Drawn maps. Inkwell also has several random map generators, some I can get to work, some not. E-Plans – once registered you can go through the American houseplans on site and select one to match your urban setting. Some have interior shots also. ( this is one example, there are several other houseplan websites as sources for modern settings). Note: these two are posts I reblogged on my Everything for Writers Tumblr blog. Many of these master lists on Tumblr are reblogged for months, and subsequently contain dead links (such as the Scriptfrenzy one on the first list, or anything found at the defunct archetypewriting.com site). 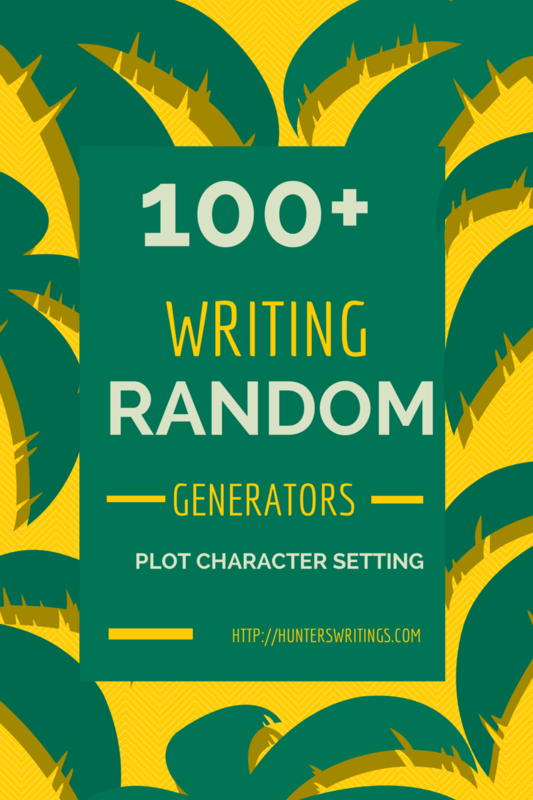 I have not checked all of these links, but the lists contains mention of the many plot generators on Springhole, and Seventh Sanctum. 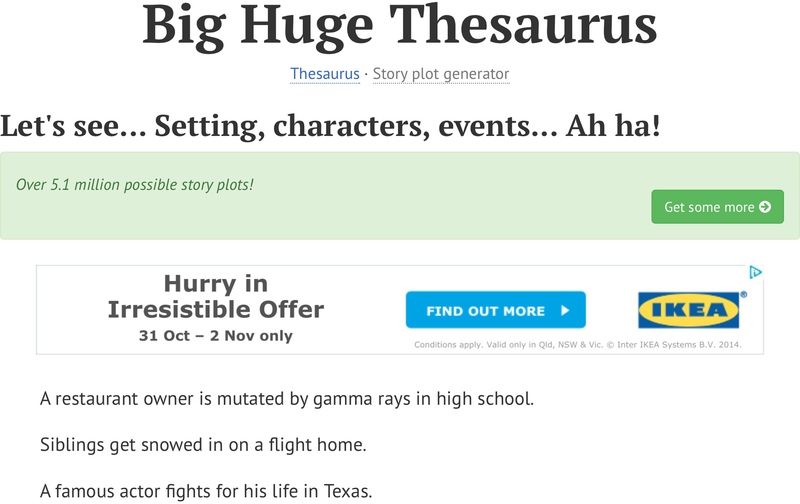 Big Huge Lab’s Big Huge Thesaurus Story Plot Generator – 5.1m of them, apparently. 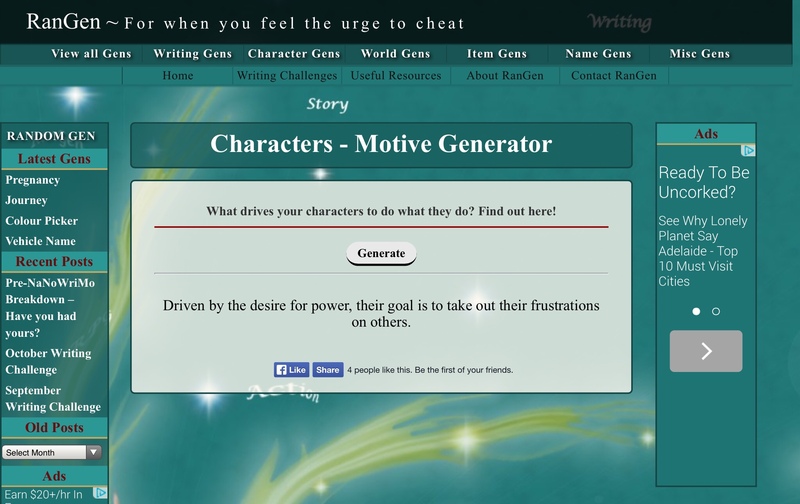 Plot Generator org has several genre-themed plot generators – choose from Romance or Horror, Crime, Mystery and Teen Vampire (apparently a genre unto it’s own now).